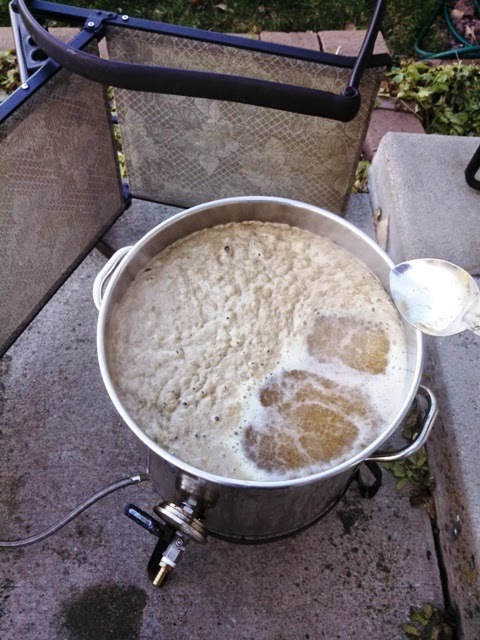 At this point, I was still into using Mr. Beer ingredients, and so my recipe was simply an HME (hopped malt extract) with an UME (unhopped malt extract), honey, and extra hops. Pretty simple, but this beer was actually a real big hit among people who tried it. I ended up making this beer several times. Even after I converted a bunch of my old Mr beer recipes to all-grain, I still continued to make this with the Mr Beer HME for the base. But, for quite awhile now, I am done with extract brewing. 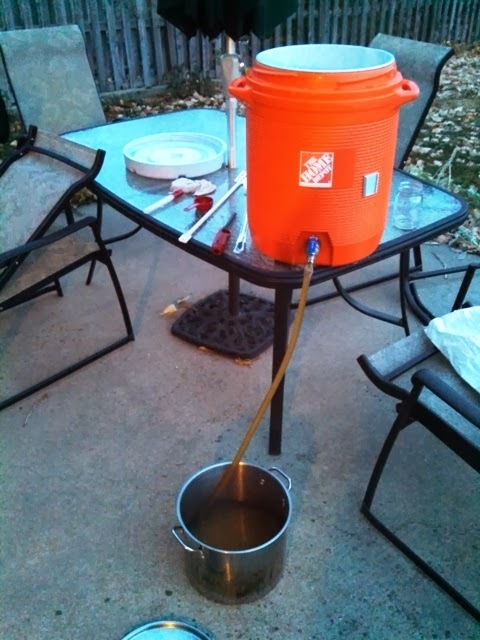 And, I cannot imagine myself ever bringing myself to do any sort of HME batch of beer. 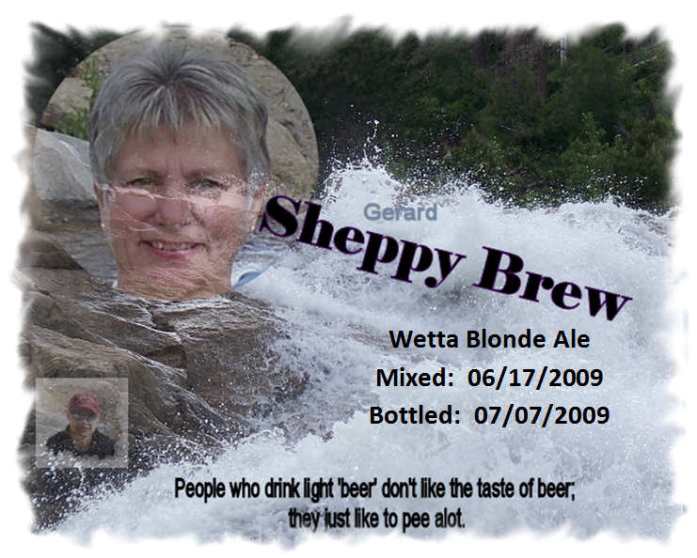 It has taken awhile, but finally I have taken a shot at an all grain recipe for Wetta blonde. It is still pretty simple. It uses American 2-row as its base malt with a quarter pound of Munich malt and 6 ounces of a light crystal. Like the original Mr. Beer recipe, it uses some honey. It should be pretty light bodied, light in color, almost perfectly balanced between malt sweetness and hop bitterness. We should be seeing the Beer Model's Parents around Christmas. I thought it would be nice to have some Wetta Blonde on hand, so this past weekend, I stopped by my Local Home-Brew Shop to pick up ingredients for a Sunday brew day. The brewing went fine. I hit all my numbers fine, although my mash temperature ended up being a bit high to begin with and ended up pretty low. Not sure that averages out to where I want it, but I am sure it will be fine. 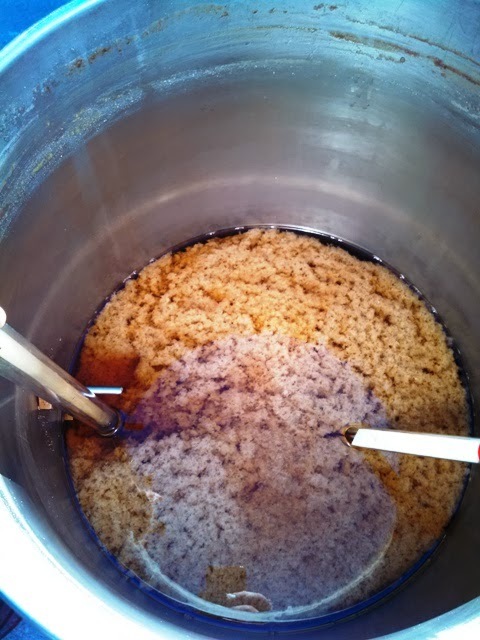 I did forget to add the honey to the kettle, and ended up just adding it straight into the fermentor after the wort was already in there. I think this resulted in a higher OG than I was planning, and I did not measure it after adding the honey. Again, I am sure it will be fine. I am going to try to get this kegged and carbed before the week of Christmas. This should not be a problem, although unless the Beer Model can drink up her Boo Berry Wheat, I might have challenges keeping all the kegs cold and ready to serve. It is winter, so I may just be able to use the weather to keep one of the kegs cold. Anyway ... I guess I will figure that out in a couple of weeks. I'll let you know how it turns out either on this blog or SheppyBrew's Facebook Page or Twitter or somehow.